So on April Fools’ Day we had a little fun with our mailing list and our social media fans. After months and months of teasing our new brand we fooled many people (some were too wise) with our faux brand launch. 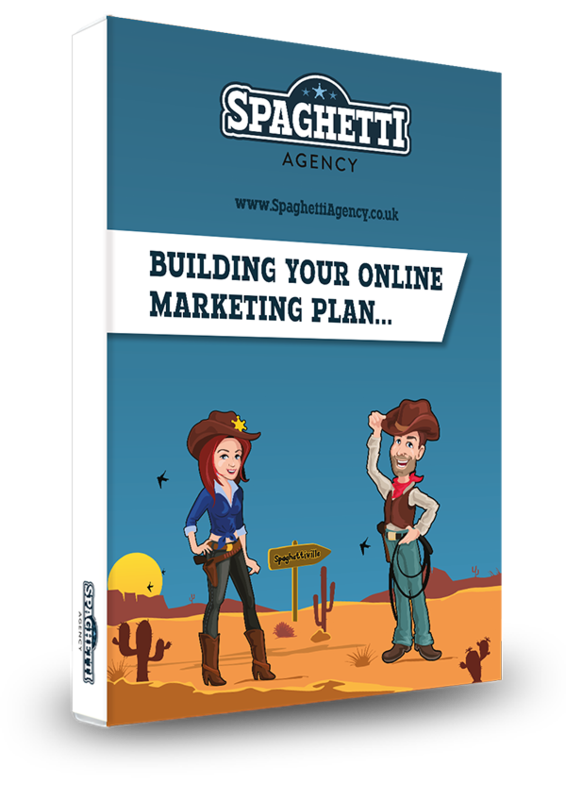 We didn’t put much time into it and to be honest we thought it up after discussing content for our clients. Laura was the catalyst (as ever) with a probing question about April Fools’ Day. Before we knew it we were brainstorming and then we decided that we must include all the things thought would be funny. 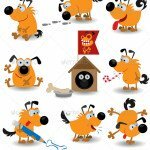 As we all love dogs that was the nominated animal and DOGital worked really well. The rest, as they say, is history. Time taken: about 25 minutes of thinking and drinking tea. For the April Fool we decided that we would email our list and then share it on social media. We wanted it to be believable and we wanted it to be decent enough to fool people as this is our thing at the end of the day. So the logo was briefed in. I say briefed; I iMessaged Matt at Jetpack Squirrel and he laughed and sent back some ideas within 10 minutes. Three images later and we had a winner. Peter the Dog (as he was known as later) was chosen from these three images from stock. 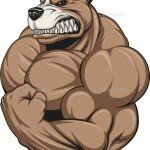 The hard as nails pooch! Then Matt went away and created the logo and sent it back in Dropbox with a jpg on iMessage titled “Is this what you had in mind?”. This took him about 10 minutes. Next up we knew we wanted to test the clicks and interest on this, so we created a bespoke page on our website to track it all. 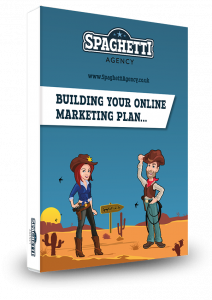 Our site is built in WordPress so that was simple to do. This was only a joke so it was an orphaned page (not linked from anywhere) and we stripped the sidebars and links from it. We wanted to concentrate on the ‘new’ brand alone. Then we fashioned up some text and got all dog happy with puns and paws, and before we knew it we had a page with the new logo all set to go. 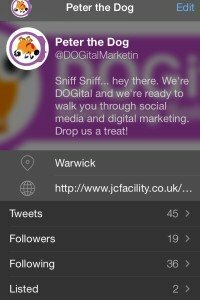 In the copy I’d mentioned a Twitter account @DOGitalMarketing so I headed over to Twitter with an email I’d not assigned to a Twitter account and grabbed that. 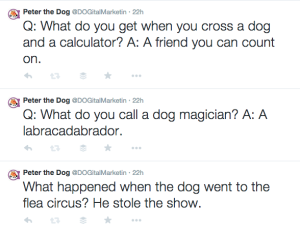 To my dismay the name was too long (15 is the max) so I dropped the ‘g’ and @DOGitalMarketin was born. Logo added, quirky bio completed, and we were set. 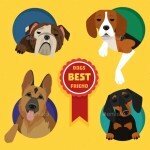 Jo added some tweets and dogs jokes to give it some content and we followed some dog-related accounts too. Done. Then for the key part – the email to our list. I already knew how I would write this and the excited style with tongue firmly in cheek. We smashed out the copy in minutes added a link to the bespoke page on our site and then Jo proofed, edited and scheduled for 9am on April Fools’ Day. We scheduled that email in Mailchimp for 12:15pm on April Fools’ Day and the evil plan was set. Then we scheduled some tweets from our new Twitter account, Peter the Dog, and also from our own accounts too. We teased the news on Twitter the night before and set Buffer up to launch the news at the same time as the email went out. For added clout we grabbed the online link from Mailchimp and shared that in our tweets too. 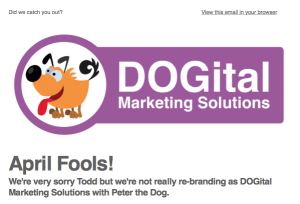 The whole lot launched at the same time from my Twitter, Peter the Dog, and the email at 9am on April Fools’ Day. It all went out automated (I was running around the racecourse with the real dog when it happened) and we dealt with the comments and replies on email. The replies – what you all said! This was brilliant fun and the replies were brilliant. Here’s the pick of the best responses we had including the last one which was from our web and REAL new brand developer… nope… he didn’t know either! “Sniff our bums on email? I saw the email and I was like WTF are you doing?!?! Haha… seriously, if you thought it was awful and you didn’t tell us, how very kind and polite you are… but please – tell us next time?! Anyway, we hope you enjoyed the fun. We certainly did. It only took us a few hours to make it happen and it kept us amused all day. Thanks for joining in! Here’s to May 1st for the real launch… news coming soon.